Oh no. 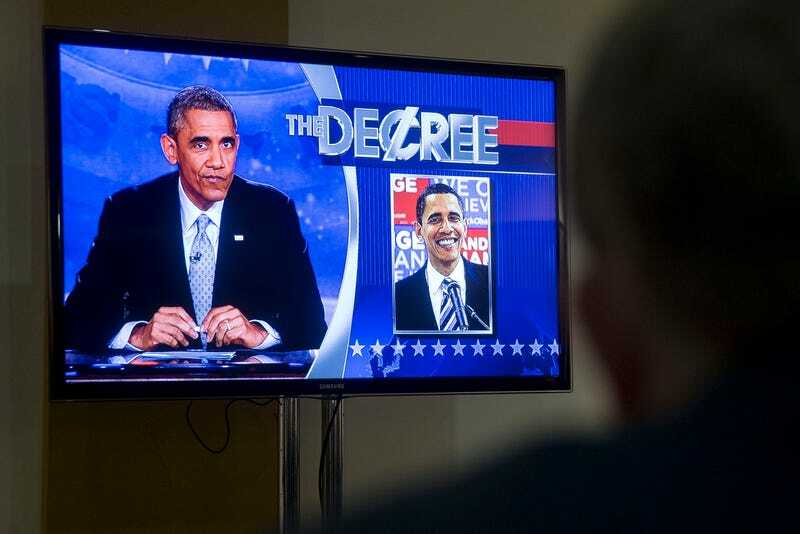 Judging by these photos coming over from Getty right now, President Obama is going to try some scripted segments on tonight's Colbert Report. These never go well. The interview and segments were taped today in Washington, D.C. for a special Colbert Report show that airs tonight. Some of the interview photos look pretty awkward, so hopefully a real question or two snuck in. Name one time a sitting president has ever been funny. One time. And Taft's Yuck'em Ups Jamboree of 1909 doesn't count.